Under Construction. Brand New Construction You pick out the upgrades and finishes in your New Home. The Denali Model home is a three Bedroom plus a den which can easily be a fourth bedroom. 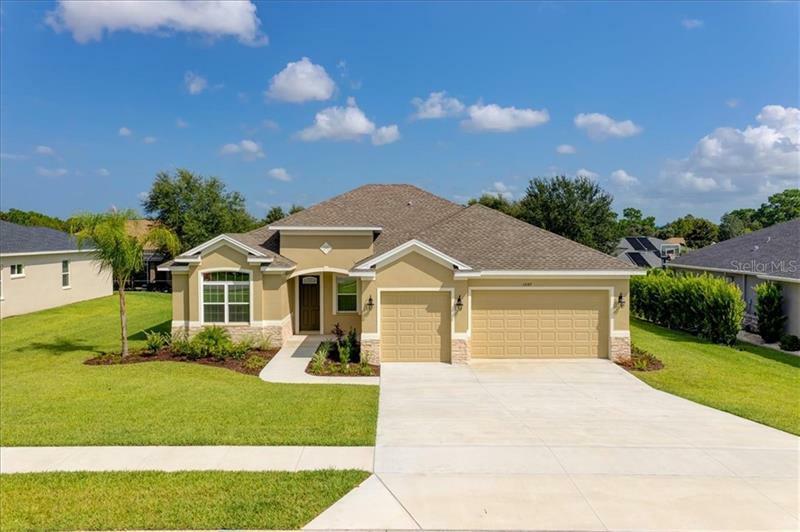 The home boasts a large open floor plan with 10 foot high ceilings open Kitchen with wood cabinets Breakfast Bar and Nook also available with stainless steel appliances. The Master Suite includes high ceilings His and Her walk-in closets. The Master Bath includes a garden tub walk-in shower and a double sink vanity. With 2159 square feet of living space and 3075 total under roof you will find this home Beautiful Stunningly Rich plus it's extremely energy efficient. Let us not forget its 3 car garage. Floor Plan features may change. The Picture is a rendering only. Construction started.